← Pics to make you go huh? 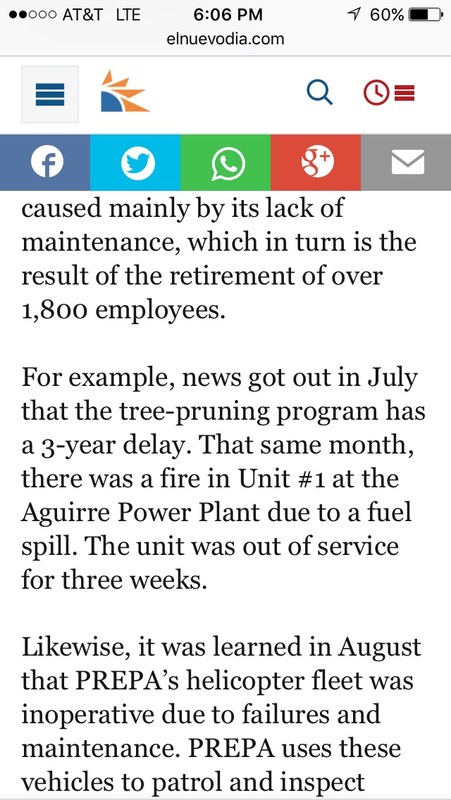 So, two days ago Puerto Rico experienced the worst power outage in decades. 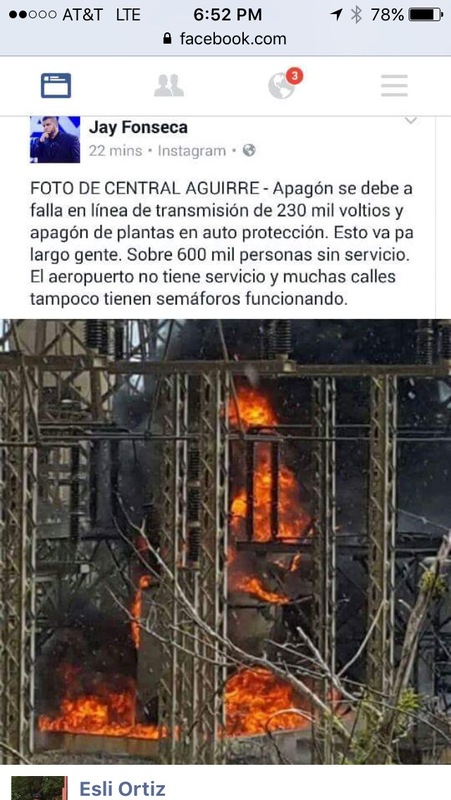 And I learned a new word, “apagón” (blackout). 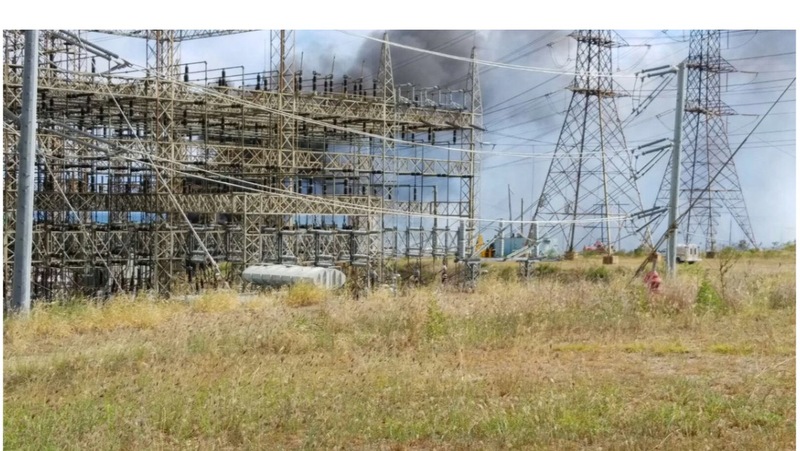 At the same time as my hubby was flying away from Mayaguez to San Juan to begin his journey to Barcelona (not the one in New York, no no), a major explosion at a power plant in Central PR caused damages to two main 230, 000 volt transmission line. Begin domino effect here! The entire system shut down to protect itself. Or so they said. This said the airport was closed (I assume they mean thr main one in San Juan). but Trevor said TSA had enough power, and henwas able to leave fine with a small delay. People were quick to lay blame. But one of the coolest images I saw was comparing an aerial image before and after the apagón. And I see how intertwined I am with electricity. Obviously not just for lights, but for trying to download all the photos Trevor sent us from Spain. 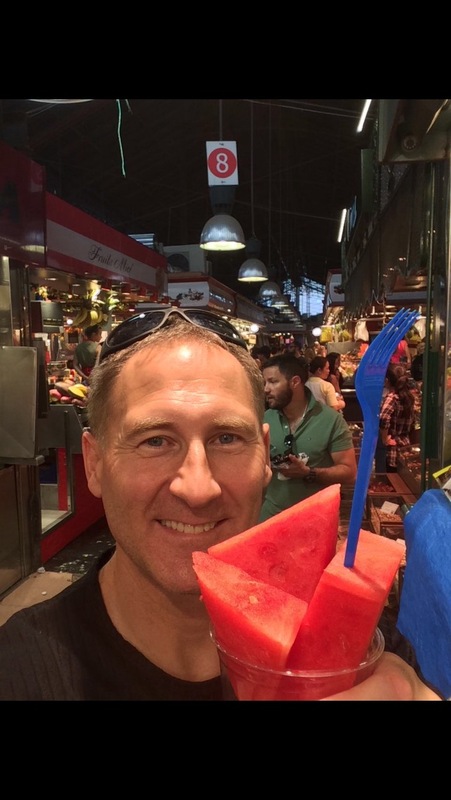 Trevor eating fresh fruit in a market in Barcelona. With lights. 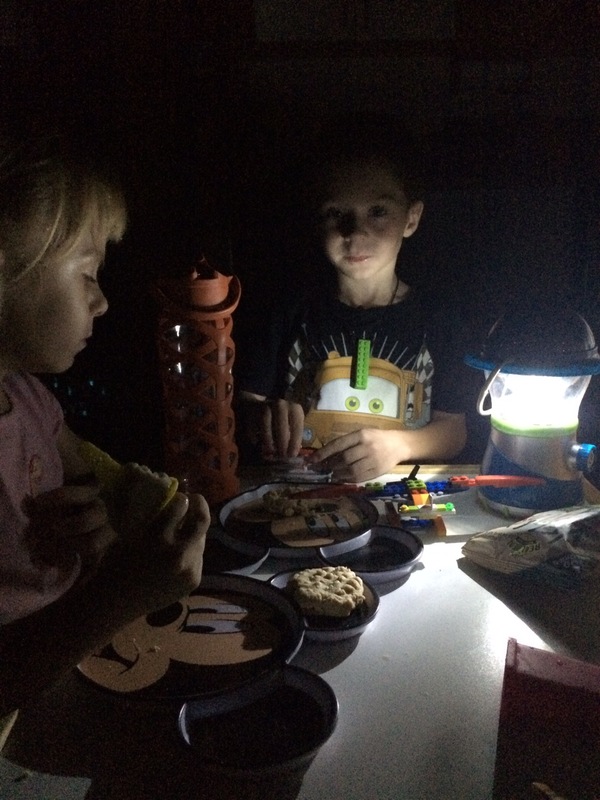 Rationing our generator, we had snacks in the dark. I thanked God many times for the fact that we had a generator, and a water cistern with a pump. Because eventually the water pressure dwindled to dribbles. Friends checking on each other, getting updates through our intermittent internet, and remembering how to simply unplug and enjoy the natural light. It’s like camping – get your house organized and picked up before sunset or you’ll be sorry. I felt like worshiping the sun every morning. I imagined this on the news that my father watches every night, but then thought more realistically. This probably isn’t news to anyplace else. We went to a cafe for lunch. While exiting, this electrical box up on the pole literally shot out blue lightning. Yeah, my car was parked under the wire. The whole feeling surrounding the town was eerie..
And imagine on top of all this – my friend was delivering her twins in one hospital in town and my neighbor was administered to a different hospital the night of the explosion. Silver lining: ESTRELLAS!! Millions of stars. And a faint outline of the Milky Way. = worth it! 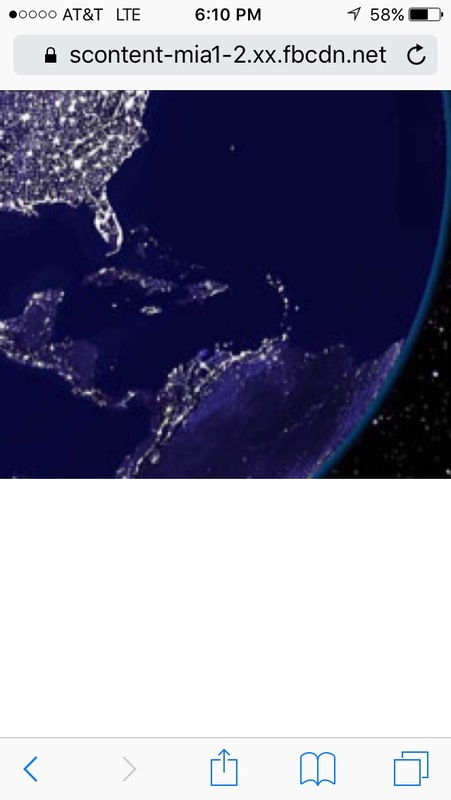 This entry was posted in Uncategorized and tagged blackout, generator. Bookmark the permalink. As difficult as it’s been for you, the kids will remember it as another great adventure, alone with Mom while Dad was away working. 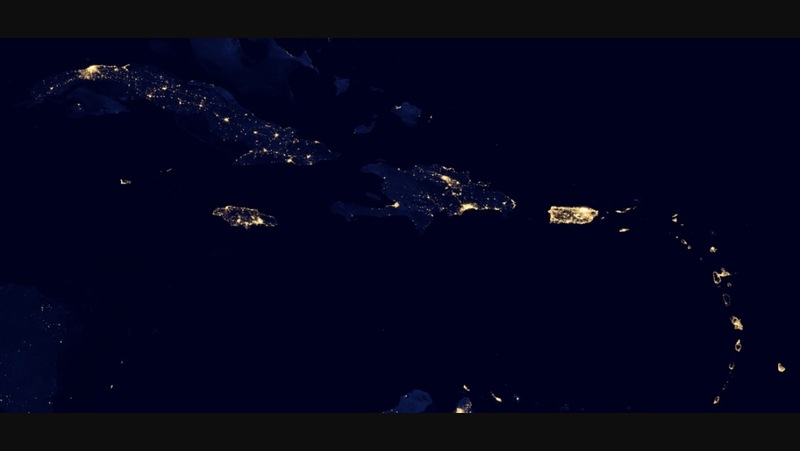 I hope you’ve been able to save some of their comments about what it was like – the week the lights went out in Puerto Rico. It was also a great opportunity to show how we adapt when our circumstances change. I envy you the estrellas. Our small village school once turned out all the lights for an astronomy night. It was a great opportunity to walk around in pitch darkness and wait for my eyes to adjust (took forever!) and then see the heavens begin to light up.